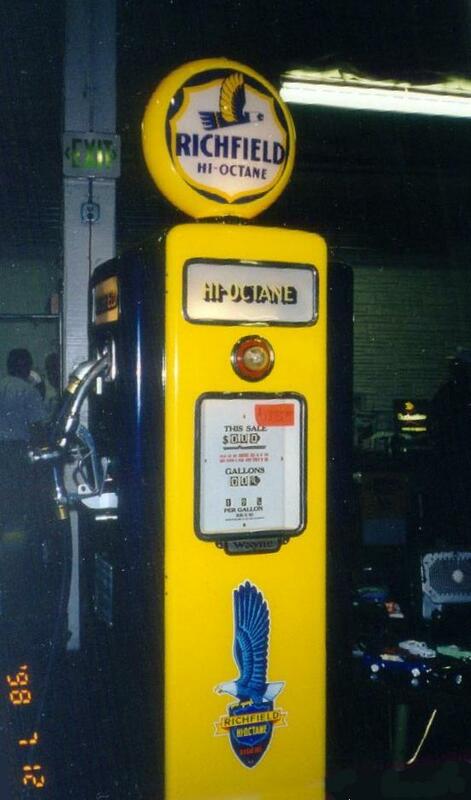 Richfield Pump at Custer's Antique Show, July 12, 1998. 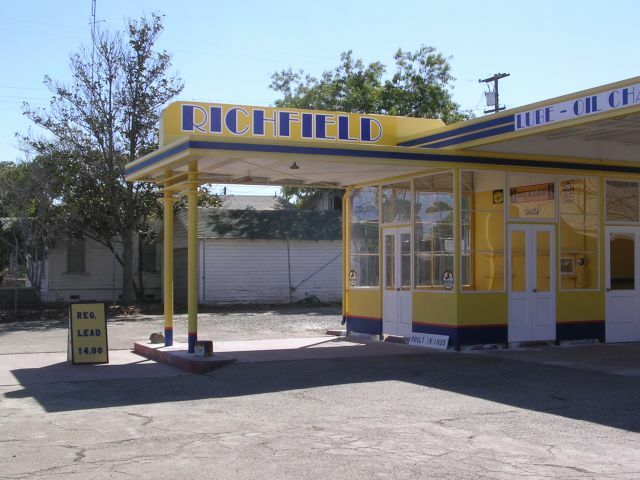 Next series are of a "Restored" Richfield Station in Coalinga, California. 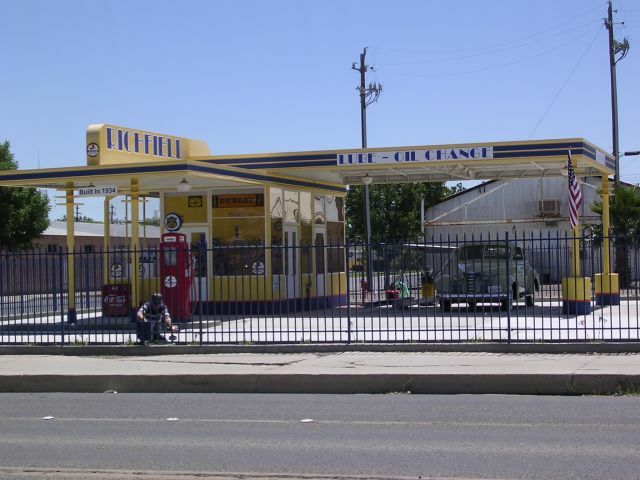 The above five photos are of a Richfield station in Coalinga, California. They were taken in October, 2004 by Jim Wartman. 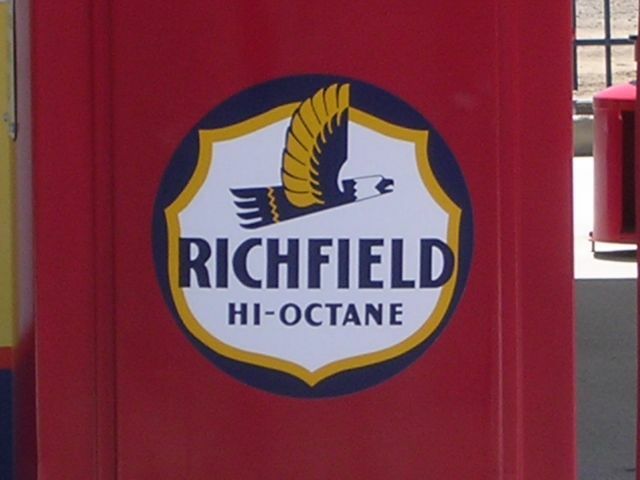 This station is part of the R.C. Baker Museum, just up the street. Judge for yourself on the accuracy of this replica. 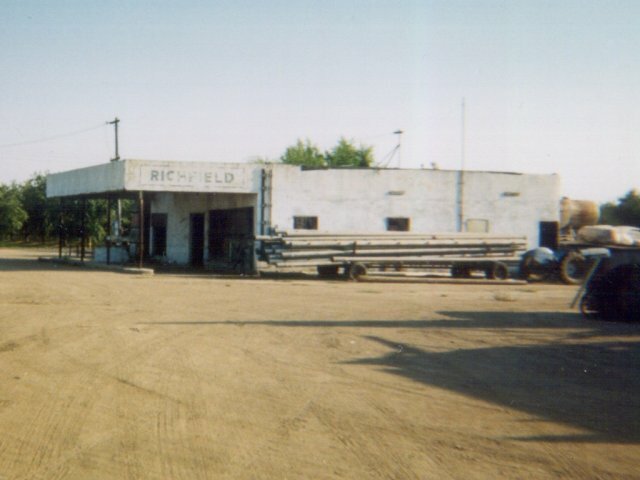 thing to a real Richfield photo that I've received so far. 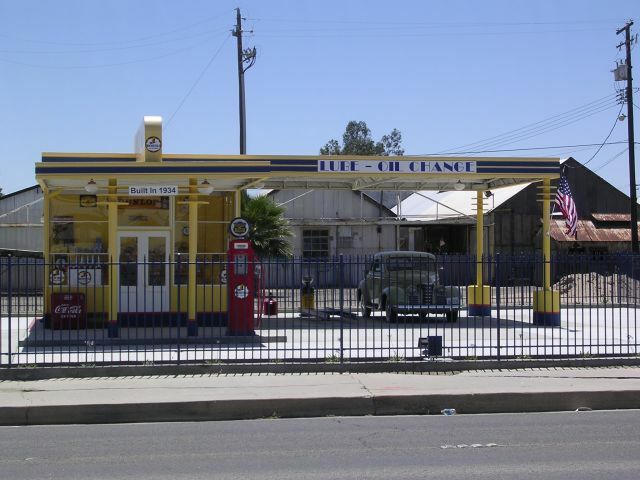 Old Richfield station, South Frontage Drive, McFarland, CA. This location is now being used as a storage yard by a nut growing company. 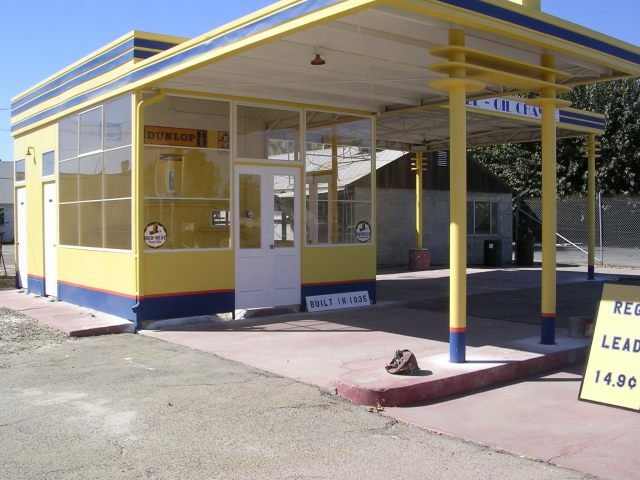 its presence to motorists coming southbound through town. 1965 Richfield map scan from Robert Droz.